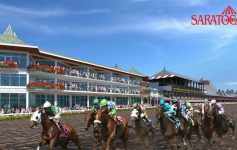 The reserved table lottery for Fourstardave Sports Bar and Miller Lite Picnic Paddock for Travers Day at the track are happening now through April 12th. Here’s how you can enter, and the other way to secure seats if you’re not chosen from the lottery. Half of the reserved table seating at Fourstardave Sports Bar and Miller Lite Picnic Paddock for Travers Day will be assigned via this lottery drawing. Guests interested in purchasing a reserved table in either location can enter the drawing at NYRA.com/TraversTables. The drawing concludes on April 12th, and Travers Day falls on Saturday, August 24th for 2019. 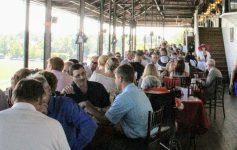 The other way to secure a table for Travers is through the reserved table flex plan. 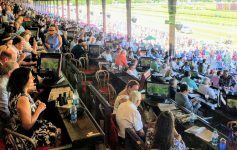 The flex plan provides fans with a secured table on seven days of their choice during the 2019 season, which includes Travers Day. These table flex plans will be available starting on Thursday, April 11th at 10am by calling the NYRA Box Office at 844.NYRA.TIX. They’re subject to availability. You can only reserve a table in the Fourstardave Sports Bar and Miller Lite Picnic Paddock for Travers through the reserved table lottery drawing or the table flex plan. Season pass holders who are selected in the drawing will not be charged individual admission for themselves or any guests in their party who provide proof of a season ticket plan or pass. Tables may be reserved on a single-day basis in the two locations starting on Wednesday, May 8th through Ticketmaster. Reserved seating is limited and subject to availability. 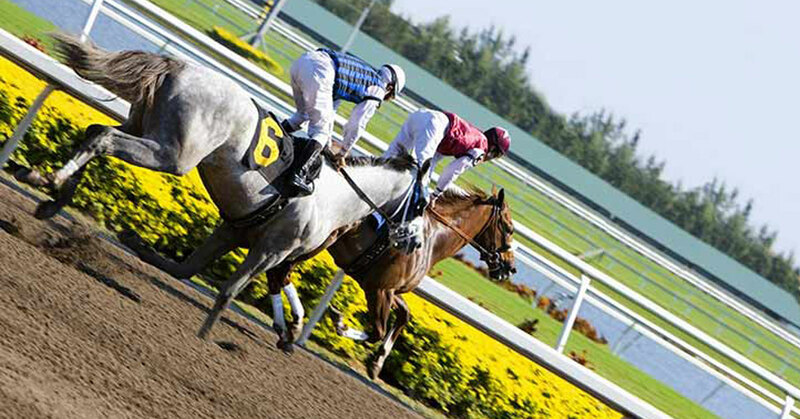 The Fourstardave Sports Bar is located close to the trackside apron and includes over 80 tables and a sports bar. The Miller Lite Picnic Paddock is in the section of the backyard located adjacent to the paddock and comprises over 100 tables.